I'm the Graphic Designer at Capacity Interactive and work on display creative for many of our clients. I wanted to share how I approach these projects and answer some commonly asked questions. Q: Is there a recommended amount of text for display ads? A: As I’m designing, I try to live by the words of French writer, Antoine de Saint-Exupery: “perfection is achieved, not when there is nothing more to add, but when there is nothing left to take away.” In other words, use text strategically. 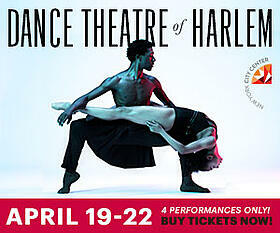 It’s not necessary to list every detail of the event or performance. In fact, visually compelling ads with minimal text and a strong call-to-action encourage the user to click the ad to find out more. Pro Tip: Most of the time, you only need your logo, a photo or illustration, the production/exhibition title, a creative CTA, and the date. That’s all you need. I promise. Display ads are (hopefully) working within a multi-channel approach, so you don’t have to cram everything you want to say in one tiny digital ad. Plus, you’re looking to drive users to a landing page where they can find more information on your production/exhibition. 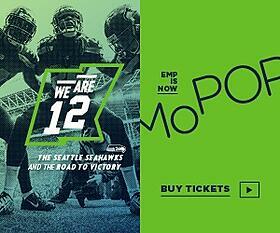 Take a look at the two display ads below. Option A includes the Boot Camp logo, a compelling attendee quote and photo, and a CTA. It compels the user to click to learn more. Option B, however, tries to include way too much information. Sure, it's all relevant information, but it looks cluttered and disorganized. Q: Should we be doing animated ads? A: Animated ads provide two primary benefits: they are more immersive and they offer the opportunity to include more assets because the viewer can see text elements as they appear. However, animated ads provide two primary challenges: they require a much heavier design lift, both in time and cost, and they serve out much less frequently than static ads do. 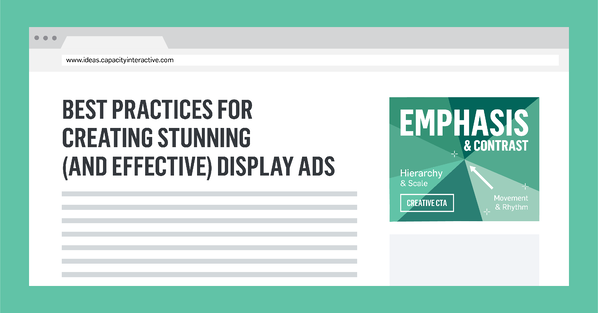 Your animated ads should always be accompanied by static ads. Static and animated ads often perform differently with audiences depending on the user’s consideration phase. The real answer is you should run both and test them against your key performance indicators (KPIs). Q: What about A/B testing creative? A: A/B testing of display ads allows us to be data-driven with our creative choices. A/B testing allows you to compare two versions of display creative to see which one performs better with your pre-determined KPI’s. Pro Tip: When you’re A/B testing creative, it’s important to change only one element at a time. For example, you could test variations of calls-to-action. You could also test multiple images. Ideally, both versions should be served simultaneously for the same amount of time. Q: Are there any go-to rules for designing display ads? 1. What is the most important part of this design/ad? 2. How can I make the information easily digestible? 3. How do I want people to experience this design/ad? These questions can all be answered by pulling wisdom from some principles of design: emphasis and contrast, scale and hierarchy, and movement and rhythm. In any design, there is always one element that stands out the most. This is never just a coincidence. It's an intentional choice because the designer wants you to remember that one thing, even if you were to forget everything else. 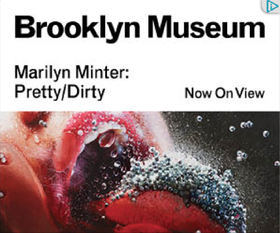 Take the following two ads as examples: the promotion of Marilyn Minter’s Pretty/Dirty exhibit by Brooklyn Museum and the collaborative promotion of Sculptured Dance by Pacific Northwest Ballet and Seattle Art Museum. Brooklyn Museum wanted us to remember the stunning and provocative photo as a taste of what that exhibit will be like. 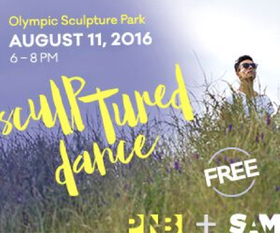 Pacific Northwest Ballet and Seattle Art Museum both wanted us to remember the name of the event, Sculptured Dance, because it was set in a vibrant, whimsical, modern typeface and color. The easiest ways to achieve emphasis include size, color, or typography. Ask yourself, what is the ONE important element you want someone to remember from your ad? You really have to choose just one. Is it the production photo? Is it the exhibition title or show name? Is it your organization’s name or logo? Pro Tip: Many organizations think they need to have stunning photography to grab people’s attention, but sometimes you simply don’t have photo assets or the budget/time to attain high-quality photo assets. A photograph doesn’t always need to be the emphasis of an ad. Think creatively about your use of color, typography, or illustrations. Opera Philadelphia and MoMA often use illustrations and color exceptionally well. The scale of various assets in your design is crucial to achieving successful visual and informational hierarchy. This can be especially difficult when you are designing for four very different display ad sizes (300x250, 160x600, 300x600, 728x90). Most of the time, the biggest challenge isn’t necessarily creating the design itself, but is in ensuring its success across various ad sizes. For example, the text size you use on a 300x250 would be impossible to use on a 160x600. The way you crop a photo on a 300x600 would be impossible to use on a 728x90. Now that you’ve figured out the emphasis of your ad, you have to think about the rest of your visual hierarchy. All elements of your composition should be reacting proportionally to each other in terms of importance. 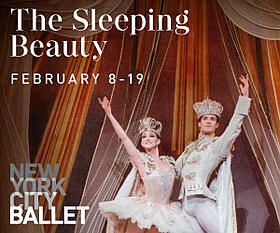 The two ads below by New York City Ballet and Dance Theatre of Harlem have created successful informational hierarchy with various text sizes and minimal copy. Pro Tip: A piece of feedback I often hear is, “Let’s make our logo the biggest part of the ad!” First, consider the purpose of your ads. If these ads are meant for general brand awareness, make sure your logo is visible and central. But, if these ads are promoting a specific show/performance/exhibit, get comfortable with making your logo smaller and aligned to a particular side or corner. 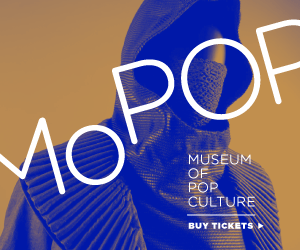 The Museum of Pop Culture (formerly EMP Museum) is very thoughtful when sizing their logo larger for brand awareness (left) and smaller for specific campaigns (right). Now that you have thought critically about what to emphasize, how to use contrast, and how to appropriately scale to achieve hierarchy, you must think about the experience of your ad and the story you want to tell. In design terms, we call this movement and rhythm. This is what breathes life into your composition, creating excitement and energy. It’s all about how to tell a story through hierarchy and visualizing your purpose with a mood or vibe. Your composition should tell a story with the assets you are using. 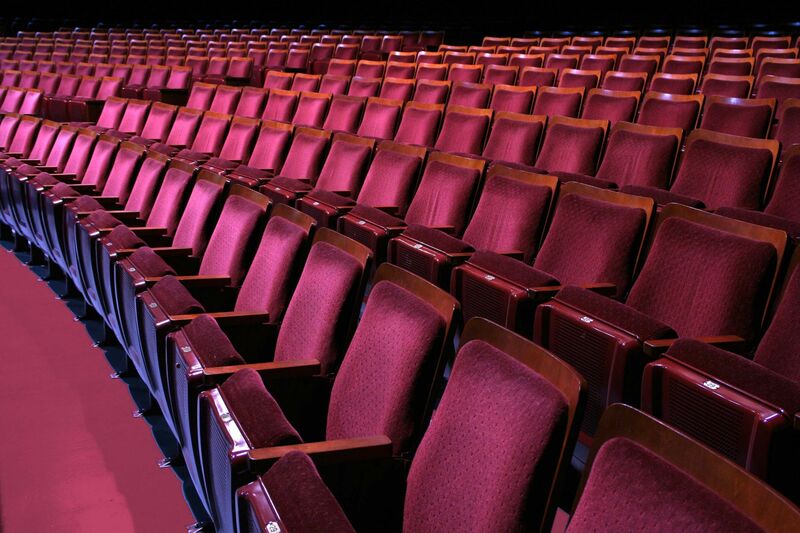 Both Carolina Performing Arts (CPA) and Seattle Repertory Theatre (SRT) utilize the opportunity to use color boldly and to layer elements in their ads. 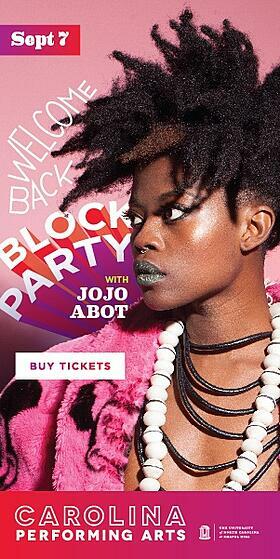 In CPA’s ad for JoJo Abot, the use of not only warm color tones, but also illustrative typography, captures the essence of the event - a welcoming, funky, and fun atmosphere. 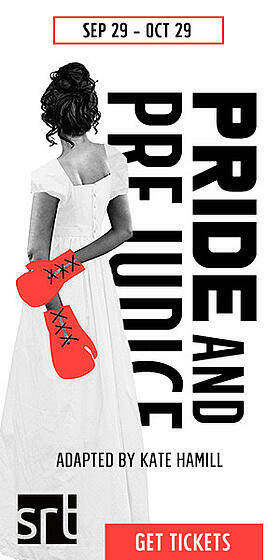 SRT’s ad for Pride and Prejudice uses mostly black and white imagery, highlighting the fact that the production is a classic. But, infusing the bold red tone and boxing glove illustration emphasizes that the production is an adaptive, unique take on the story. Pro Tip: It can be difficult to layer your assets or infuse a bold usage of color into your static display ads. If you want to achieve movement and rhythm, consider repetition. Repeating a certain element in your ad creates natural movement and rhythm. Achieving movement and rhythm with repetition can be instituted during any part of the creative process. 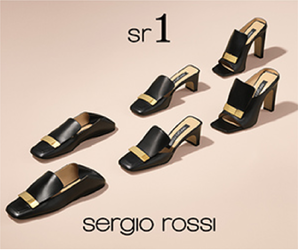 For example, if you are still in the early stages of designing your marketing materials, you can incorporate repetition natively within your original photoshoots, just like Sergio Rossi did with their shoe collection. If you are reviewing your photographs and assets in hopes of discovering a creative direction to go in, you can potentially find similarities within your assets as Tribeca Film Festival did with similar headshots. If you have all of your assets and need to execute a creative direction for your display ads, you can create a pattern to use as Casper did with subtle stars on their navy blue background. It can be overwhelming to design for such a small piece of visual real estate like display ads. But, if you use text strategically, create hierarchy with your assets, and tell a compelling story, your display ads will be both stunning and effective.